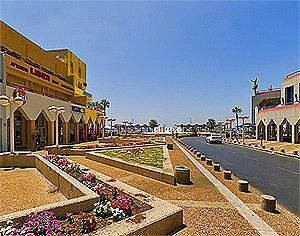 Tel Aviv Seashore Suites is a three-story-building privately owned. It was recently renovated from August 2008. Based on lodging only, you have everything you need for a quiet and intimate stay. The entrance has no lobby, you can access it with a private code, the stairwell is also renovated and secured with a closed circuit television. There is a parking lot adjacent for 25 shekels a day. With or without a sea view balcony, all the suites have a kitchenette (microwave, mini-bar, cooking-plate, dishes, kettle), a bathroom (shower, sink and toilet), air conditioned, plasma with cables (600 channels), a seating corner, free internet wireless connection for your laptop. Clean and fresh towels and sheets are provided and replaced once a week. 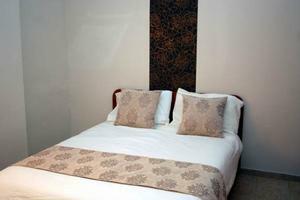 Every room contains double bed, the large suite has a sofa or extra double bed or an extra bed upon request. Located in the beautiful Tel Aviv Seashore Apartment Hotel, Allenby corner of Hayarkon, aside the other luxurious seashore hotels, you will be at a short distance walk from Jaffa, the shopping area of Shenkin, restaurants, cafes, Tel Aviv nightlife... and of course, a few meters from the sea!! Transportation is available (buses,taxis,train and private cars). "Thanks guys. It was a nice stay :-)..."